Answers to questions you may have when visiting us. We accept Eftpos, Visa, Mastercard and cash (AUD). What is the weather like in William Creek? William Creek is located in the desert. While the days in winter can be quite mild, nights can drop below 0 degrees. Summer can be quite hot with days above 40 degrees and nights in the low 20’s. With less than 25 days of rain and almost 200 sunny days annually, William Creek offers a climate that is perfect for your road trip. Can I book a campsite? When arriving in William Creek, please proceed to the William Creek Pub and one of our friendly staff will book your site for you. No pre-booking required. Do you have toilet facilities? There are public toilet facilities located on the west side of the Oodnadatta Track and facilities for the pub and restaurant are located behind the restaurant. Can I book scenic flights when I arrive to William Creek? Flights can be booked at our Flight Office, located next to the Hotel on arrival however we recommend booking before you arrive to avoid disappointment. I have pre-booked accommodation, what do I do when I arrive? When arriving in William Creek, please proceed to the William Creek Pub and one of our friendly staff will check you in. Do you have water available? Water is a precious commodity in William Creek due to our limited rainfall, however rooms have a fresh rainwater tap. Town water is from a bore and should not be used for drinking. Do I need to book the restaurant? While we are located in a remote location, we can often get quite busy. We recommend booking a table when you arrive into William Creek to avoid disappointment. Do you have mobile phone coverage? The only network which is available in William Creek is Optus. Prepaid SIM cards are available for purchase from the William Creek Hotel. A Telstra pay phone is located in town, however there is no Telstra mobile phone coverage. What are the roads to William Creek like? Road conditions vary throughout the year and depend on the amount of traffic, rainfall, grading schedule and other weather conditions. We suggest checking the South Australian Outback Roads website to check the latest conditions. What television channels are available? Does the William Creek Hotel close? The William Creek Hotel is open year round, however during the months of November to March our hours are limited, so call ahead if you are arriving late. I have other questions, what can I do? Have a question we haven’t answered? Contact us here. 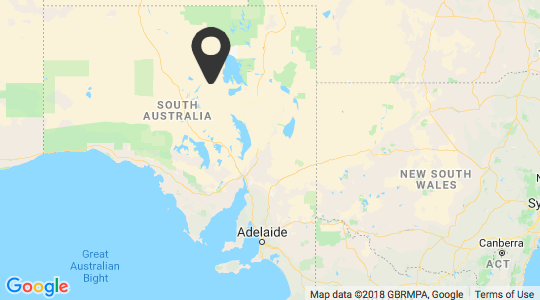 Being located in a remote area of Outback South Australia, things are a little bit different, however here are a few things that may answer some of your questions.